Floral exhibitions at the Bonastruc ça Porta Centre. 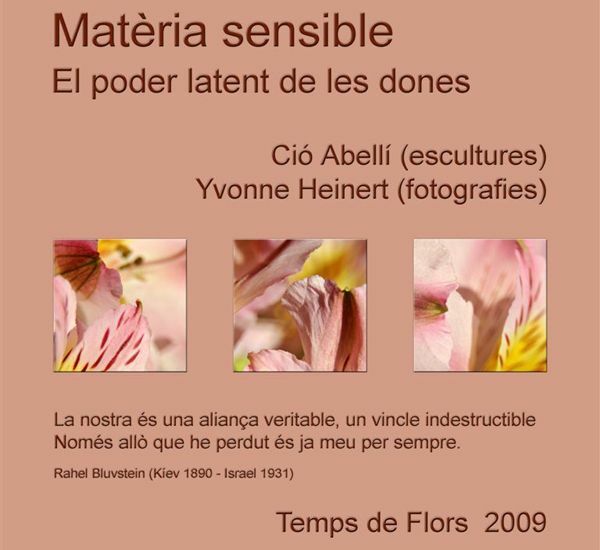 Sensitive Matter: sculptures by Ció Abellí and photographies by Yvonne Heinert at the temporary rooms of the Museum. To be reborn: exhibition by Volums - Estudi d'Arquitectura (Olot) at the inner garden of the Museum. Fitted Garden: pottery exhibition by Lluís Heras Colomé at the inner courtyard of the Museum. More information at the Girona, Temps de flors website.